Welcome home to 820 Jones Grand Ledge, MI 48837. 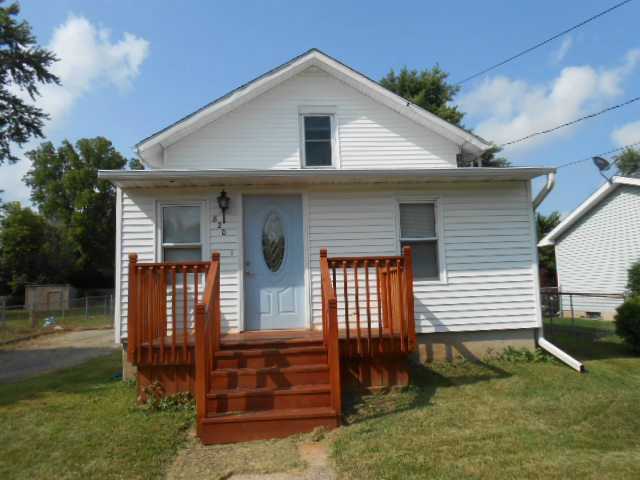 This completely remodeled home features 3 bedrooms and 1 bathroom. Upon entering feel as if you’re living in a cabin with the knotty pine ceiling. The spacious and open floor plan on the main level is perfect for entertaining. The main level also features one bedroom and bathroom. Continuing to the upper level you will find two bedrooms that are more than generous in size, both with large closets and plenty of storage space. The full basement also provides plenty of storage space. Cosmetics are just the beginning of the long list of updates to 820 Jones, other updates include; updated electric panel, new furnace, new A-C, new water heater, and new roof on the detached 2.5 car garage. This home is on a fenced in double lot in the Grand Ledge school system, close to amenities Grand Ledge has to offer, and will not won’t last long! For additional information on this property contact Brock Fletcher at (517)853-2585 or click here! Posted on August 10, 2013, in All Other Listings, Grand Ledge Featured Listings, Grand Ledge Listings, Grand Ledge Listings, What's New?. Bookmark the permalink. Leave a comment.